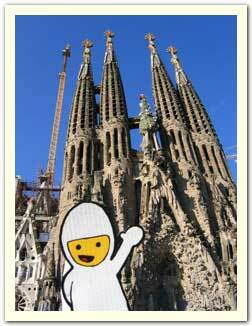 Bumperboy in awe of Gaudi's masterpiece, La Sagrada Familia. April 2004. 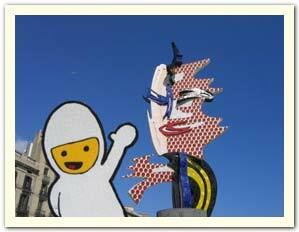 Photo taken by Christine C.
Bumperboy meets Roy Lichtenstein's Barcelona Head. Bumperboy befriends a mosaic salamander in Gaudi's Parc Güell.